Tomorrow New radio interview at Rythmos 9.49 FM!!! 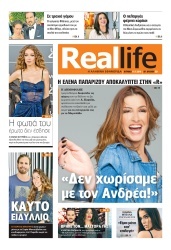 Tilerama Magazine 1 December Out on greek kiosks! First interview + photoshoot for 2019! Helena did a phone call @ OPEN TV Channel Afternoon tvshow ''Gia Tin Parea'' and she said that she may be invited in the tvshow sometime soon for a tv interview. 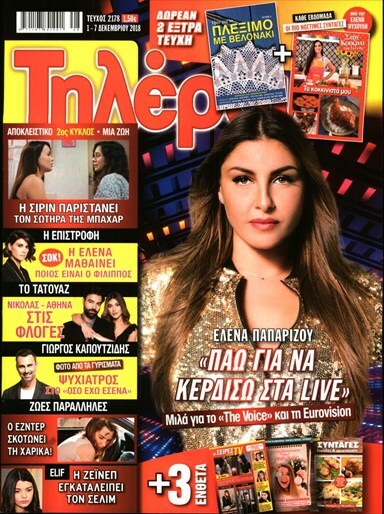 Tv presenter (Nikos Moutsinas) advertised the new song ''Askopa Xenihitia'' and they showed some scenes from the video clip.